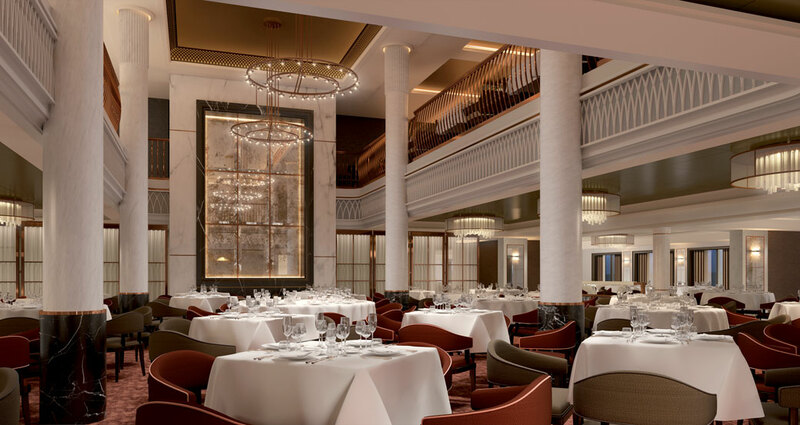 Some of London’s finest hotels and restaurants have provided inspiration for the interior design of Spirit of Discovery, the new ship being launched by Saga Cruises in 2019. 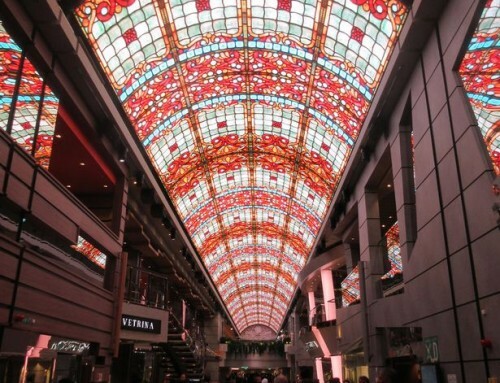 The luxury boutique vessel, carrying fewer than 1,000 passengers is the first to be purpose built for the line whose previous ships have included hand-me-downs from Cunard (Saga Ruby, Saga Rose) and Hapag-Lloyd (Saga Sapphire). 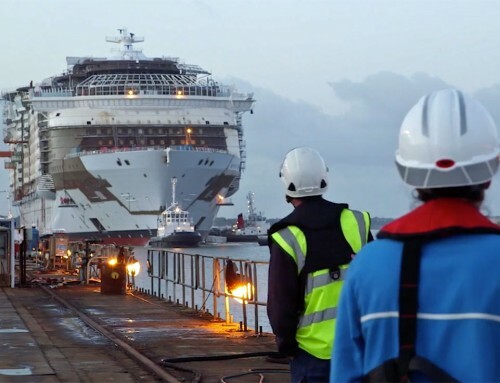 Tantalising glimpses inside the new ship were revealed this week. 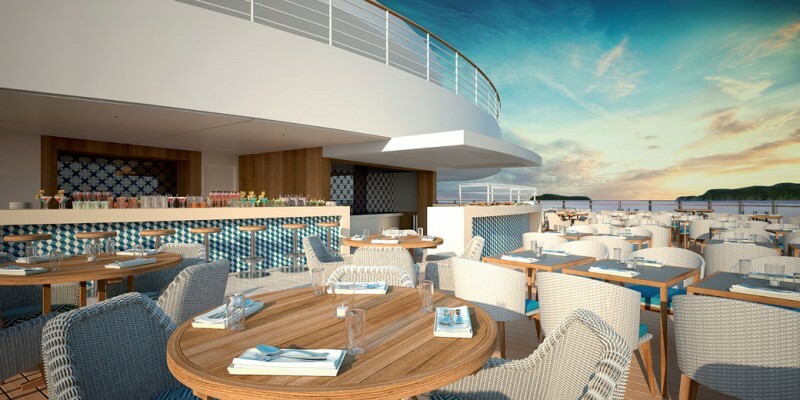 The Outside Lido (above) has a luxurious seating area allowing passengers to enjoy al fresco dining and breathtaking views throughout their trip. It will also play host to a range of entertainment and events. 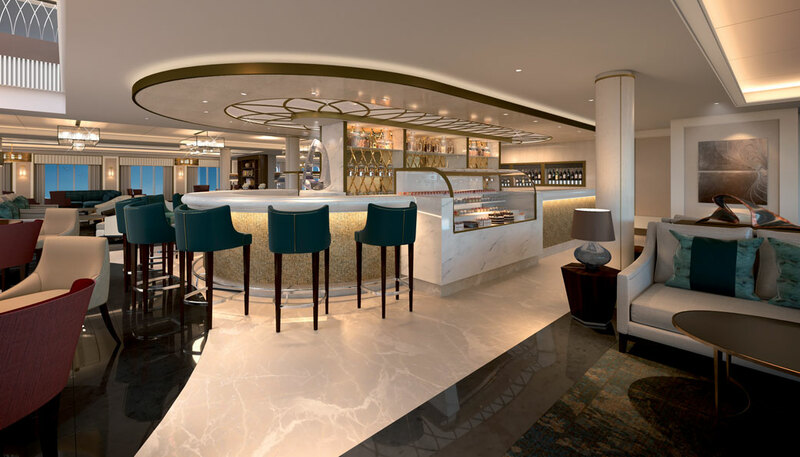 The Living Room will be the main hub of the ship, with mixed seating areas for passengers to meet and relax in comfort. Refreshments will be available throughout the day, including coffee, afternoon tea or pre and post-dinner drinks. 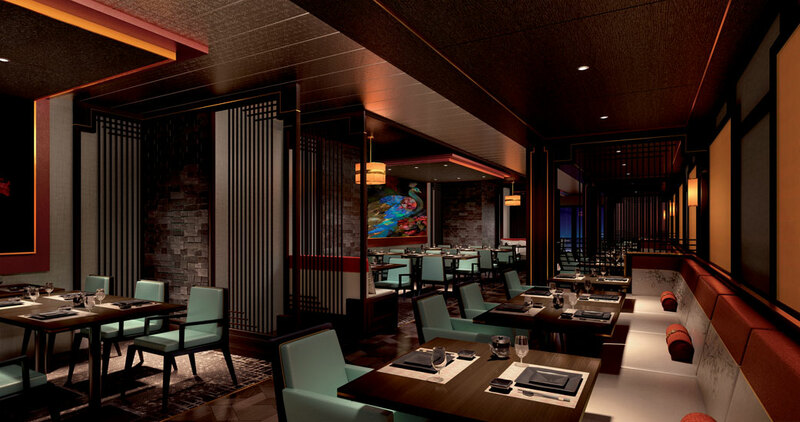 Passengers aboard the Spirit of Discovery will be able to indulge in authentic Eastern cuisine in a vibrant, modern Asian speciality restaurant at no extra cost. The main dining room has an elegant and timeless design with a double-height ballroom-style ceiling adding impact. 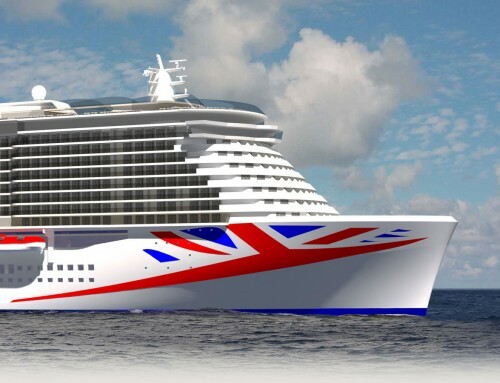 Passengers can expect British-influenced and fine-dining cuisine, with menus using local produce when the ship is in port. A wide range of complimentary house wines from the ship’s cellar will be available to passengers at no extra cost. The first cruises go on sale this September. To make an advance registration of £90, call 0800 015 4310. Advance registered customers will also receive an exclusive 5 per cent discount off the price of their cruise.